The Lagotto was introduced into the UK in the early 90s and was placed on the Import Register. The first KC Breed Standard was published in 1995. The Lagotto Romagnolo joined the Rare Breed list in 2016, with its first set of classes at Crufts. The Lagotto is sub-classified with the Spaniels in the Gundog Group. 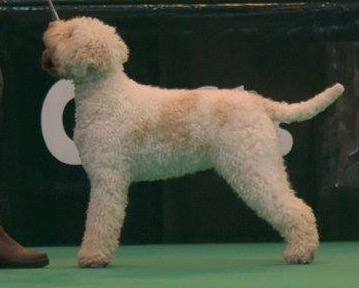 The Lagotto Romagnolo Association campaigned for health information to be published on Kennel Club registration documents. Approved in 2017. The Lagotto joined the KC Pilot Scheme for the JCF and the Lagotto Romagnolo Association presented the first Breed Appreciation Day on 28/1/18. The LRA continued its efforts to assist in education for judges and owners by holding its second BAD in March 2019.